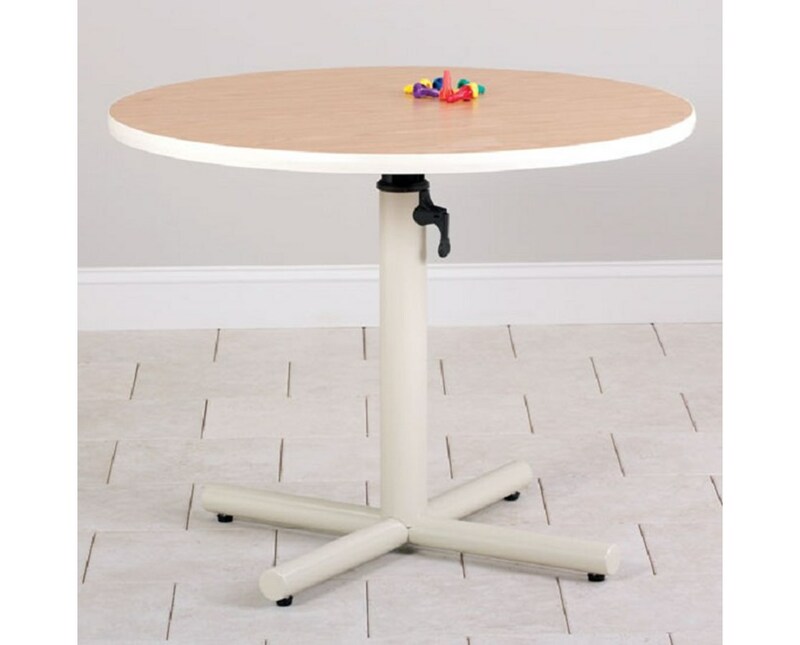 The Clinton Industries Round Gas Spring Adjustable Work Activity Table is a medical equipment designed to provide patients the needed space to do their physical therapy or rehabilitation tasks. Awesome Design. 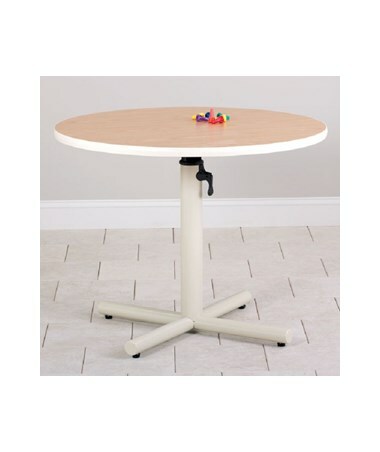 With its 1 1/8" all-laminate top, the Round Gas Spring Adjustable Work Activity Table features a T-moulding edge bumper and a 30-inch scratch resistant, powder-coated, steel base. The 36" tabletop diameter has a workspace for up to 3 patients. When needed, the table's height can easily be adjusted from 24" to 36" using the gas spring assisted lever. The Clinton Industries Round Gas Spring Adjustable Work Activity Table comes with a 5 Year Limited Warranty. Table Top Diameter of 36"
Height Range of 24" - 36"